Arrival in Beijing. You will be met by our representatives at the airport and transfer to your hotel. We start our China Silk Road Tour in Beijing by visiting the Great Wall, the iconic symbol of China and exploring Tiananmen Square, the largest square in the world. Afternoon visit to the Magnificent Imperial Palace - the Forbidden City, home to 24 Emperors over 5 centuries. Morning transfer to the airport for flight to Xian. Upon arrival, transfer to the hotel. Full day sightseeing in Xian beginning with the Terracotta Warriors. Created by the first Emperor of China, Qin Shi Huang Di who united China from a collection of warring states to become its First Emperor. Also responsible for building the Great Wall, he was obsessed with the secret of immortality. 70,000 workers built his tomb, said to be filled with legendary treasures. His 3,000 wives and concubines followed him to the grave, the warrior statues included to protect and serve him in the afterlife. 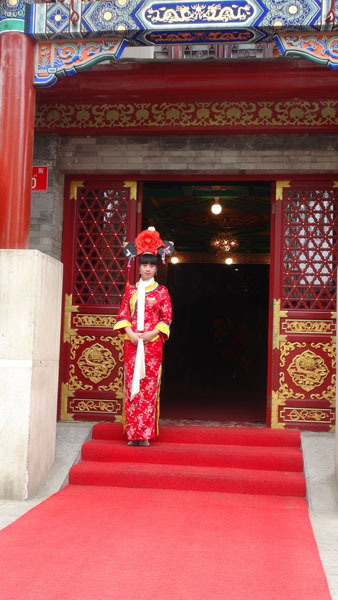 In the afternoon we'll see the Wild Goose Pagoda one of the most recognizable landmarks of Xian. Built in 652AD its is a well-preserved Buddhist site. Evening visit to the Muslim Mosque and nearby local bazaar. 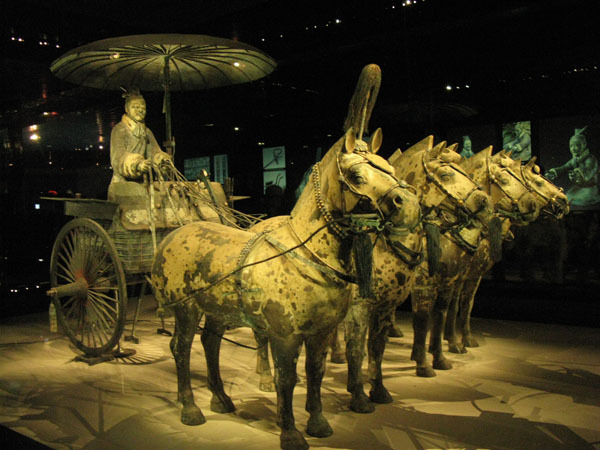 Our sightseeing tour of Xian will continue to the Shaanxi History Museum. 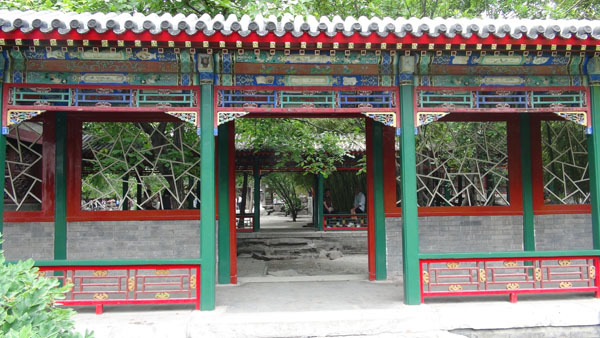 With a collection of more than 113,000 historic and cultural artifacts in one of the largest and most modern museums in China, it creates a wonderful "tour" of ancient Shaanxi province. 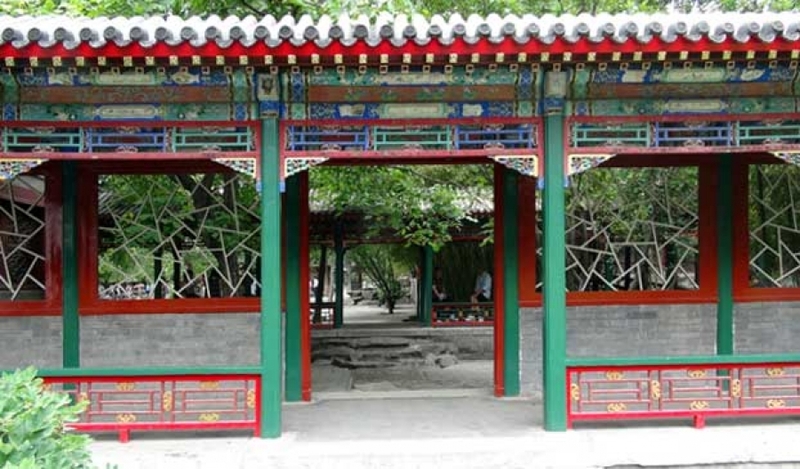 We'll explore Xian's City Wa then transfer to the airport to take a flight to Dunhuang. Upon arrival, transfer to the hotel. Full day sightseeing in Dunhuang. Day trip to the Mogao Caves – the world's richest treasure-trove of Buddhist manuscripts, wall paintings, and statuary created during the nine dynasties and dating from as early as the 4th century. 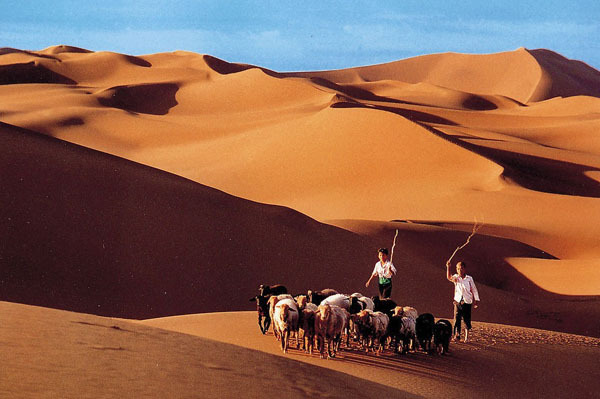 Later visit the nearby Mingsha (Singing) Sand Dunes and Crescent Lake. 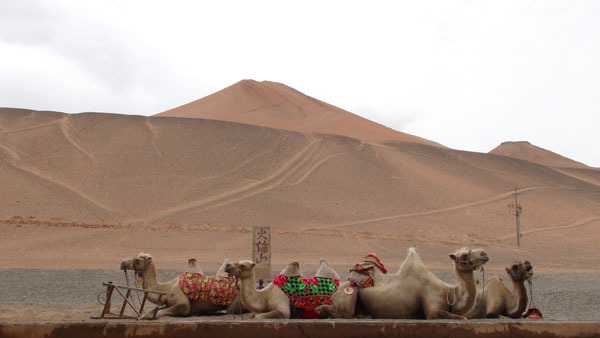 Enjoy a sunset view of the best desert scenery along the entire length of the Silk Road. Excursion to the Western 1000 Buddha caves, (although in reality there are only 22!). Similar to the frescoes at Mogao historians consider them as Dunhang Buddhist art as well. Back in town visit the White Horse Pagoda and the informative Dunhuang County Museum containing Tibetan and Chinese scriptures from the Mogao grottoes, silks, sacrificial objects, and reed torches for the beacon towers on the Great Wall. 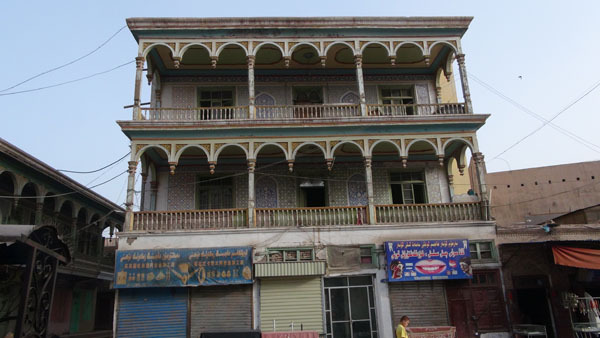 Transfer to the railway station to take an overnight train to Turpan, one of the most ancient cities of the Great Silk Road and the second lowest depression in the world. 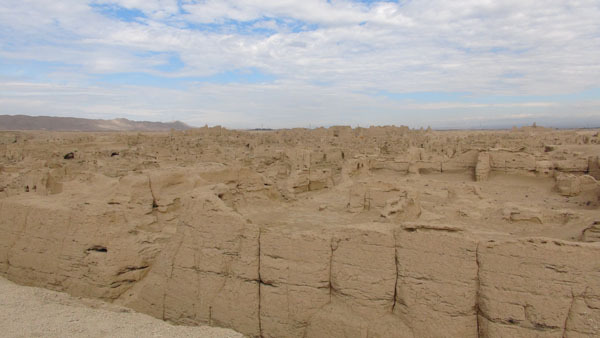 Sightseeing in Turpan includes the picturesque Tuyoq village to see the oldest Buddhist caves in the Turpan area, visit local Uygur families and enjoy beautiful mountain scenery. You will also see the Bezeklik "Thousand Buddha" Caves on the flanks of the Flaming Mountains. Later, a visit to Grape Valley - a pleasant park with vineyards and fruit trees. Relax, enjoy and sample the grapes and melons of the area. Grapes were introduced to Turpan over 2000 years ago. Overnight in Turpan. Morning visit to the ruins of Jiaohe - once capital of the State of South Cheshi, one of the 36 kingdoms of the Western region of the Han Dynasty. First settlements appeared there in 2 BC. Explore the remarkable Karez system, an ancient engineering miracle designed to bring water to the dry desert town. 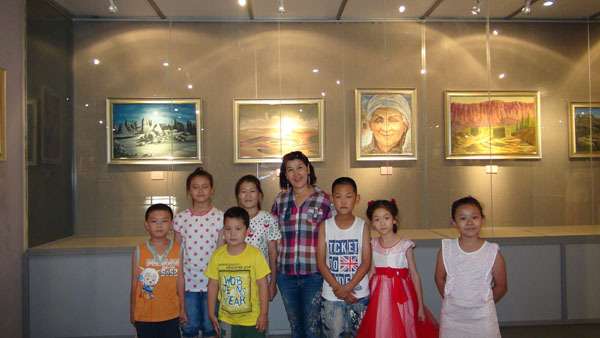 Sightseeing drive to Urumqi. Overnight in Urumqi. 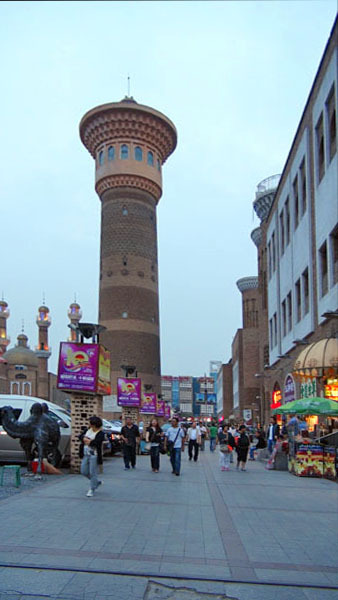 Full day sightseeing in Kashgar. This 2,000 year old oasis city is one of superlatives! 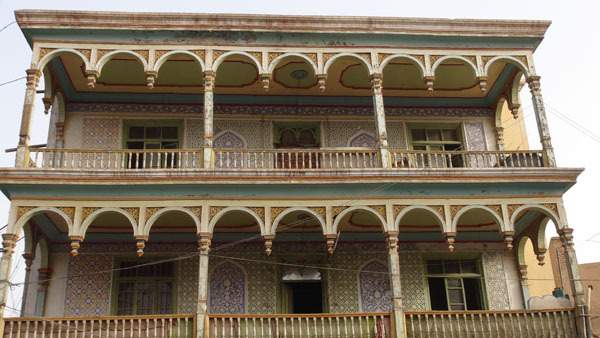 The 15th c. Idkah mosque is the largest mosque in China and Apak Khoja's Tomb is the holiest place in Xinjiang for Sufis. 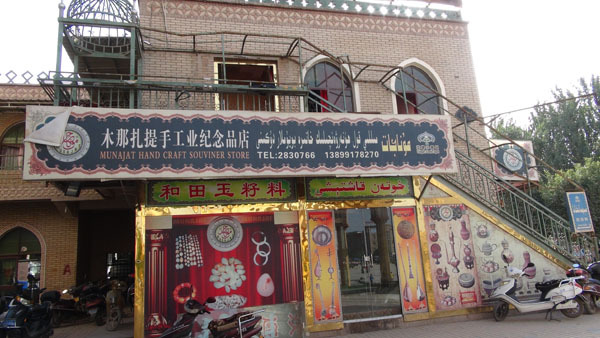 Handicraft Street offers the best in distinctive arts and crafts. There are still small sections of the old town left to see, while most has been tastefully rebuilt to modern code. Excursion to the Mor Stupa of 3BC, and the nearby picturesque Atush village. Morning visit to the colorful, chaotic Great Sunday Bazaar. If you can imagine it, you will find it there! 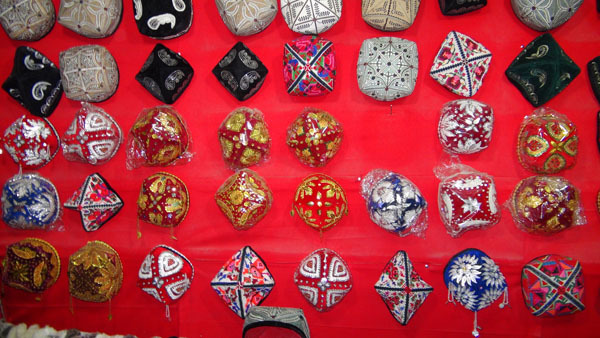 There are sections for silk, cotton, knives, hats, pots and pans, fresh vegetables and fruits, carpets, jewelry... livestock and horses are located a few km down the road, but worth the visit. Afternoon transfer to the airport for flight to Urumqi. International flight to your next destination. Mark Norell, Denise Party Leidy, AMNH, Laura Ross "Traveling the Silk Road: Ancient Pathway to the Modern World"
Valerie Hansen "The Silk Road: A New History"